Soho Kelowna received an overwhelming response to the studio and 1 bedroom condos, with the sale of 32 homes in just 3 short months! 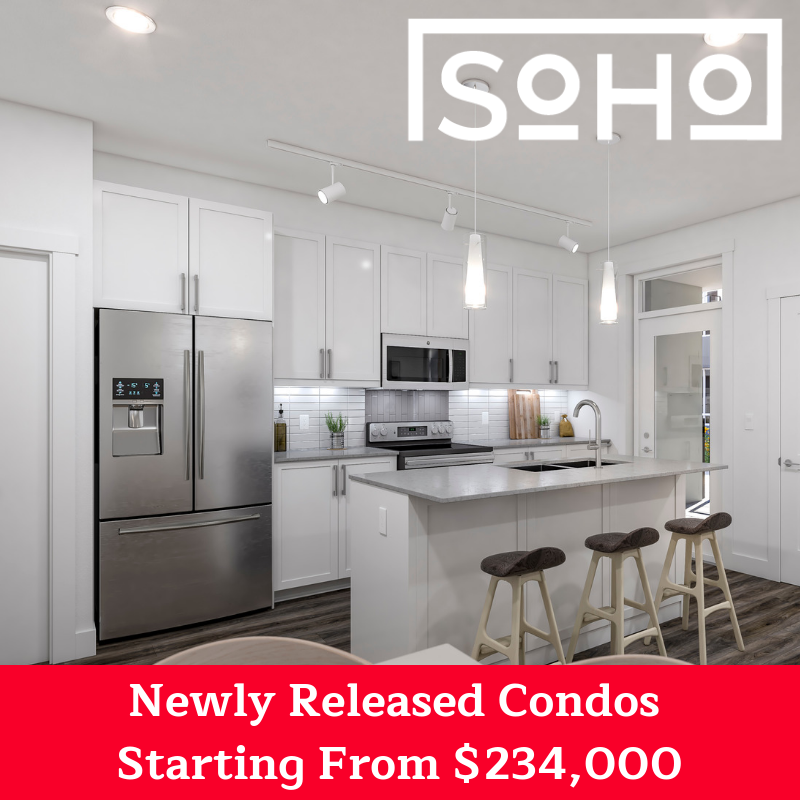 To continue the success, Soho Kelowna has been working on creating more of the desirable Studio and 1 Bedrooms – These 36 newly released plans are NOW AVAILABLE for purchase. Studio condos are the most affordable offering at SoHo. Every home comes standard with designer selected colour palette options, luxury vinyl flooring, stainless steel appliances, in-suite washer/dryer, private patio, and more. Additionally, SoHo will provide an onsite gym, social room, and landscaped outdoor terrace for the common use of future residents! 24 OF THE 36 NEWLY RELEASED PLANS PRICED UNDER $300,000!